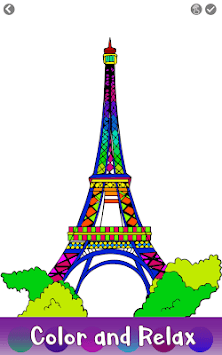 Are you a found of traveling or tourism then download the world of beautiful city coloring pages app called the Cities Color by Number. An amazing app for all the ages out there, to spend their free time and forget all the worries with this coloring book of cities. Cities Color by Number include all the famous and awesome pictures of the cities in the whole wide world. 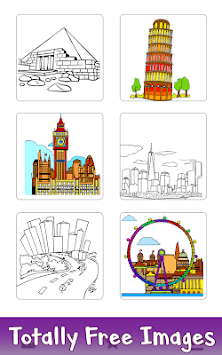 Color them and become a professional artist and show your coloring skills to the world with Cities Color by Number. A fun game for all the generations out there. No difficulty will appears while coloring, just follow the number pattern and complete your masterpiece with your creative hands. 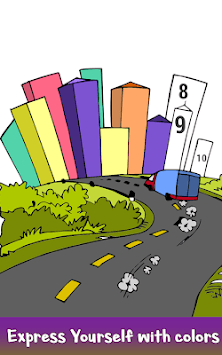 Go, grab your Cities Color by Number and spend your time in coloring the anti-stress app called the Cities Color by Number.